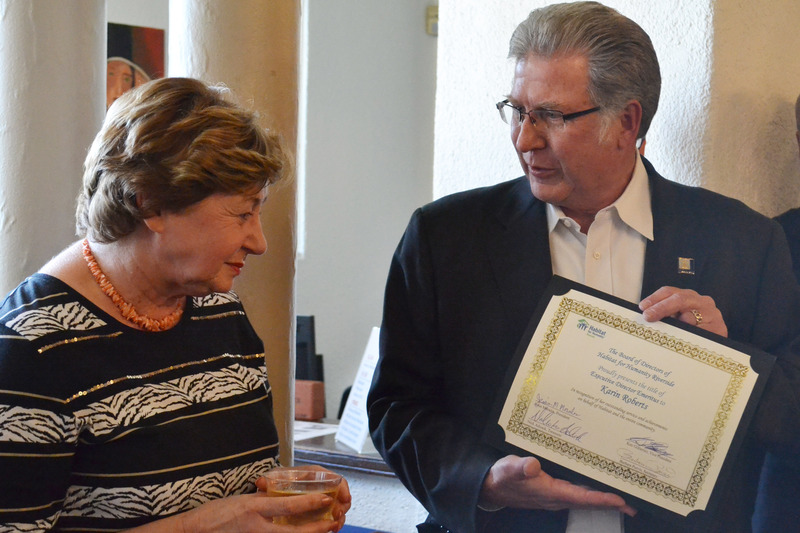 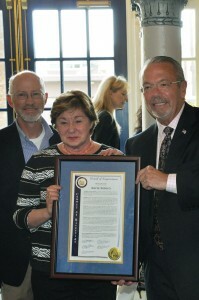 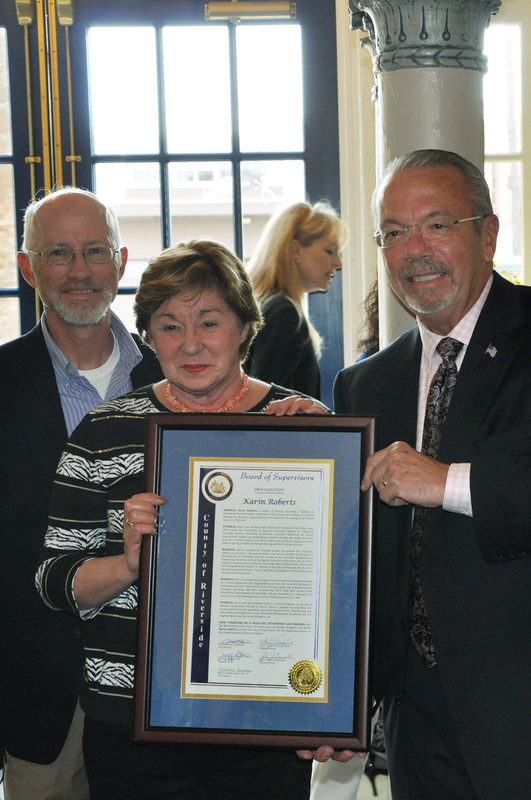 Like when Supervisor John Tavaglione personally delivered Karin a proclamation to recognize and honor her dedication to the lives of families and in the community. 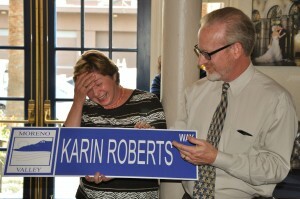 Or when John Terell, City of Morneo Valley’s Community and Economic Development Director, announced Habitat’s 8 new homes will be built on a street named in her honor “Roberts Way”. 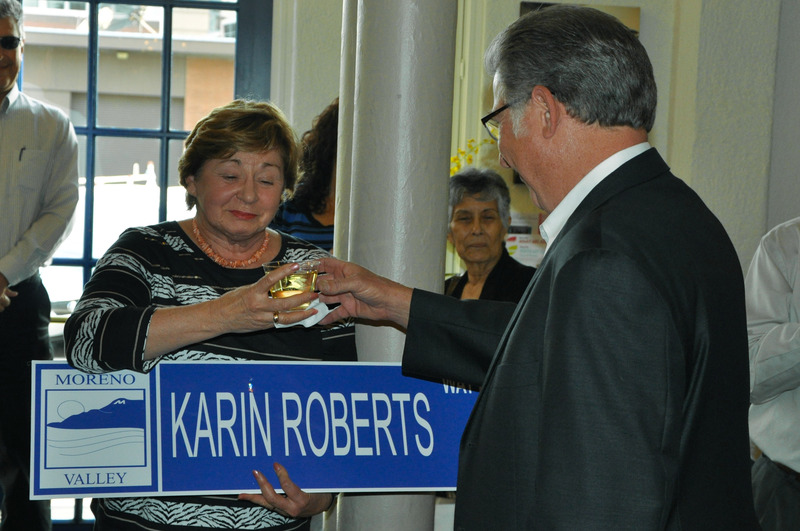 And then Vice President of Habitat for Humanity Riverside’s Board of Directors, Ken Gutierrez, provided Karin an official job title voted and approved by the Board, “Executive Director, Emeritus”. But not without offering her a glass of wine first!